I can’t quite believe that tomorrow is christmas eve and there’s only one more week left of 2017! I know people say this every year but I honestly feel like I have just blinked and 2017 has gone. I’m so excited for the festivities over the next few days though and to end the year on a positive note! For the past few months my posts have been very all over the place (I blame university), but I couldn’t let christmas pass me by without getting at least one festive post up, so, today I thought I would share some small but wonderful ways that you can help to make a difference this christmas! 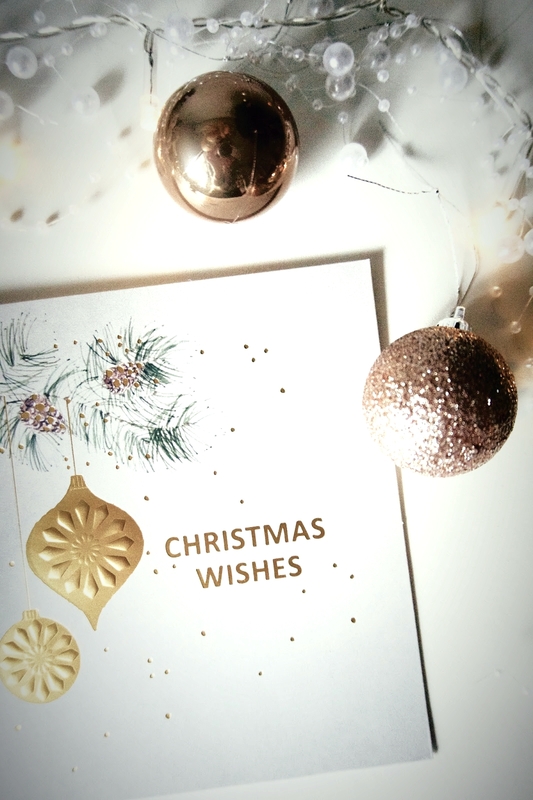 CHRISTMAS CARDS... We all send christmas cards to our family and friends every year, but wouldn’t it be wonderful to buy a pack of christmas cards (charity cards if you want to help even further), write a nice message and sign them from ‘a friendly neighbour’ and post them to the houses on your street. Or, write a bunch from ‘someone who cares’, and take them to your local home for the elderly or homeless shelter. 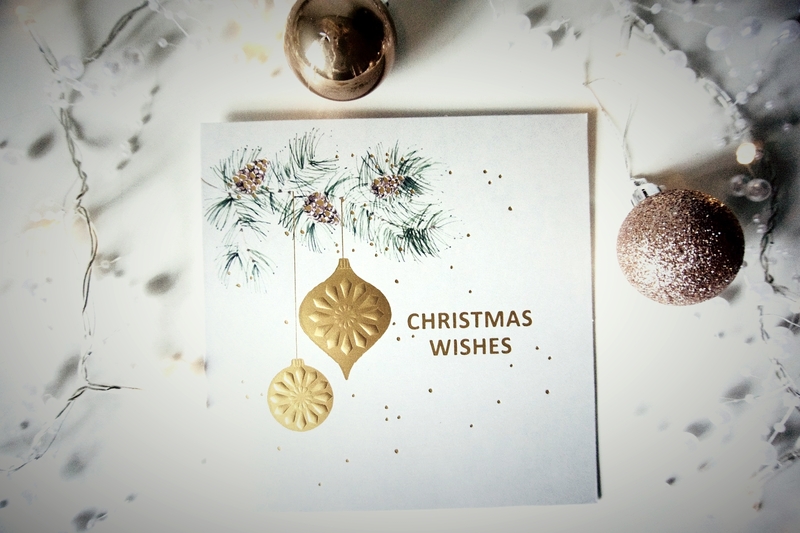 We never know, one tiny little card could mean the world to someone who’s alone this christmas! GIFT PACKS... Along the same lines of giving cards to nursing homes/homeless shelters, give gift packs! Louise Pentland encourages this a lot and I honestly think it’s such an incredible thing to do. A gift pack of all the essentials that we usually take for granted can offer so much to someone else. Similarly, when you’re doing your christmas food shop, throw a couple of extras in the basket and donate to food banks! Even if it’s something as small as a £1 bag of potatoes, you’re helping people who need it. CLEAN UP PROPERLY... The amount of wrapping paper, gift boxes, cardboard etc. that we go through at christmas is insane. Do your bit for the planet and make sure that you clean it up properly! When you recycle your wrapping paper, make sure you’ve pulled all of the sellotape off of it first. When you recycle your gift bags make sure you cut off the handles. We waste so much paper over christmas and just doing your bit to make sure it’s disposed of properly will make the world of difference. HAVE A CLEAROUT AND DONATE... It’s Christmas and a lot of us are going to be given a number of incredible new gifts from our loved ones, so, lets have a clearout! In the new year, go through your wardrobes, book shelves, cabinets, and get rid of anything that doesn’t bring you joy any more. You’ll benefit yourself by getting rid of the stuff that’s cluttering up your living and mental spaces, and you’ll benefit all the charity shops that you can donate a lot of it to! SMILE AT PEOPLE... Quite possibly the easiest thing you can do to brighten someones christmas this year, is to smile at them. Whenever I pass someone in the street, I always smile at them and a lot of the time people just walk straight past, but a lot of other people smile back and say hi, and it’s honestly so lovely! The past two times I’ve been out shopping I’ve had someone walk past me and wish me a merry christmas and both times I’ve been grinning from ear to ear. I wish more people did that! A smile that is so easy to give on our part could mean the world to someone else and we would never know it! What a lovely post. No.4 is something I always do each year as I think it is so important to give back to society even if its as simple as donating unused items or clothes. I love that you mentioned smiling at people. I walk down the street and always try and give people a big smile, but I am sure that most people think I am a mass murderer, who knew that smiling could terrify people so much! Hope you had a lovely Christmas sweetie!